Have you ever looked at your friend and thought: It's way too cool that we hang out together. This meme hits on the heart of why friendship is so cool. 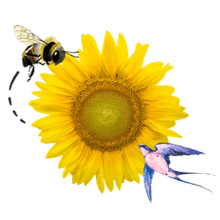 It's unlike any other relationship and yet is a basis for all of them, from our romantic relationships to the interaction we have with co-workers. 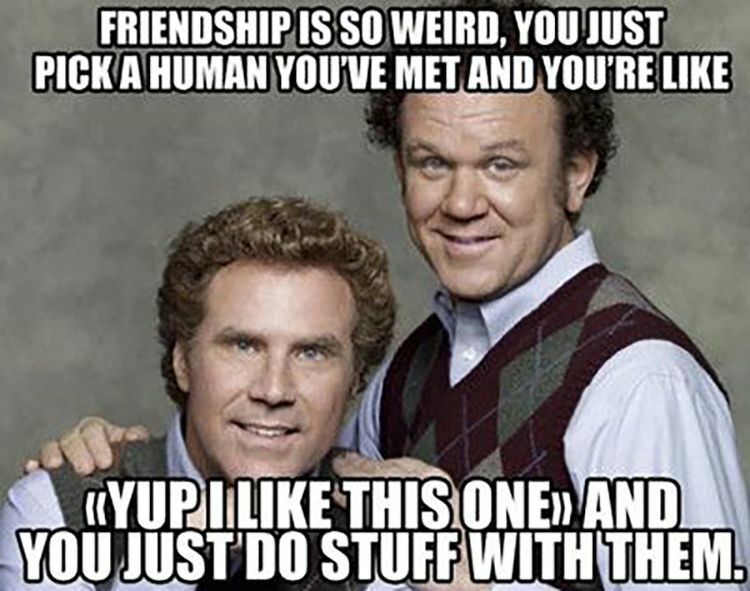 Will Ferrell and John C. Reilly might be the perfect pair to show what friendship is all about. They're unabashedly funny when it comes to showing their brotherly (or bromancerly?) love for one another. How great was the show Friends? Certainly one of the best about friendship. The writers knew how to show the ups and downs of hanging out, living with, and even falling for your friends. Joey and Chandler were like brothers so it's no surprise that they're the ones showing us how freaky it can be to say the exact same thing as a friend at the same time. Friends can be on the same wavelength with each other, and when it happens you're often like, "Whoa." Gotta love your besties! They'll put up with things that no one else will, and what's more, your most quirky and odd qualities are what they'll like about you most. No insulting friends! That's a rule, along with never dating a best friend's ex and not gossiping about them. Friends who do this are either angry at you, jealous, or not really a friend. You know that saying that if you don't have a kooky friend then it's probably you. We've all got pals who act goofy most of the time, and we wouldn't have it any other way. This cat picture is sure to remind you of someone, and that says it all when it comes to explaining that one friend. You're getting ready to go out, and just as you're about to leave the house your friend calls and yep - she canceled again. The look on Beyonce's face is what we're feeling each and every time it happens. Sniff! Dogs are the best! They bring out the best in us, help us make friends, and give us fun things to do with the pals we already have. As if that wasn't enough, they provide the kind of love and acceptance that reminds us how to treat others. Friends don't want you to be alone or feeling lonely and if you're alone on Valentine's Day they'll do everything they can to make it better. This meme says so! So it must be true. Embrace the friend that does it differently. They'll show you a whole new world, frustrate you, give you lots to talk about, and help you grow as a person. Plus, they'll probably be the friend that makes you laugh the most. Not a bad quality to have. How annoying when you're just trying to be friends with someone and they don't like you. What gives? They might not even have a good reason not to like you. They just don't. Wouldn't you love to say this to them, in an Andy from The Office-like way? Yeah, me too.